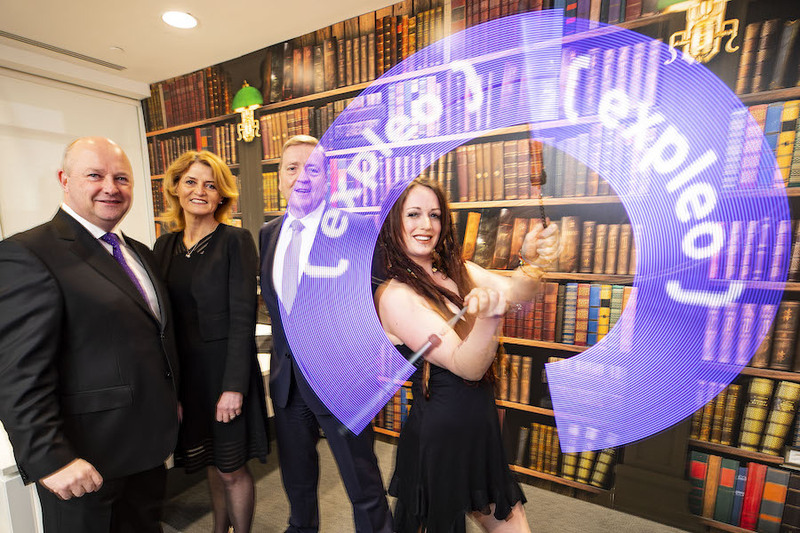 Pictured at the announcement in Dublin that Expleo Ireland will invest €8M in its workforce and create 150 new jobs in Ireland are (L-R): Phil Codd, Managing Director, Expleo Ireland; Mary Buckley, Executive Director, IDA Ireland; and Pat Breen, Minister of State for Trade, Employment, Business, EU Digital Single Market and Data Protection; with Luna, Digital Fire Art Performer. Assystem Technologies and its affiliates relaunch under a new brand. 18 months after taking over the operations of AssystemSA’s Global Product Solutions division, and following a series of acquisitions in 2018 including SQS – an industry leading quality partner for digital business with a 500 people-strong presence in Ireland, the organisation becomes Expleo. To help businesses harness technological change, Expleo offers access to sector- specific expertise and best practice across consultancy and business agility, product design, production, and in-service support, as well as continuous quality. This unmatched service portfolio reflects the changing needs of the market where engineering and software are becoming increasingly intertwined. A truly global company with 15,000 people in more than 25 countries, Expleo leverages a complementarity of cultures rooted in strong Franco-German ties. It combines a scalable and cost-effective global delivery model connecting clients with experts locally and from best shore excellence centres. Expleo’s ambition is to pursue its growth organically and through acquisitions. The Group plans to further expand its footprint, notably in Germany, North America, and India. In India, Expleo aims to quickly double in size, and reach more than 5,000 employees in the next few years.